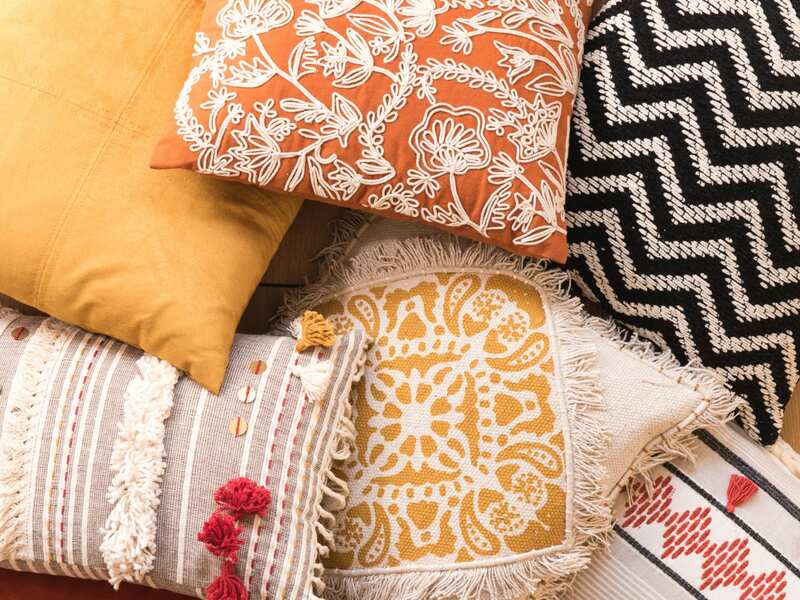 With motifs inspired by faraway lands, materials from all over the world and artisanal woodwork; the exotic style sends your home off on its travels. Maisons du Monde has pulled together a natural collection, swaying from contemporary to original. Ready to take off? Because they're painted and carved by hand and use living materials like wood, each piece of our artisanal Indian furniture is unique. Wood with marquetry, carved or cut: there's something to delight all those who don't want their decor to look the same as their neighbour's. Natural materials bring an authentic exotic spirit to your home. This year the star of the show is woven rattan; pendant lights, home accessories and even sofas, it's everywhere! When it comes to soft furnishings, rugs are made with cotton and jute for a chic Boho touch.